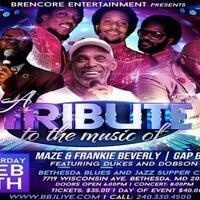 BRENCORE Entertainment Presents “A Tribute to the Music of MAZE & Frankie Beverly and The GAP Band” featuring the dynamic Soulful Recording Artists Jamar Dukes and Craig T. Dobson at the Bethesda Blues and Jazz Supper Club. Music is provided by DMV own National Recording PHAZE II Band. BRENCORE Entertainment’s Tribute to the Music of Concert Series delivers some of the best music as we honor some of the greatest artists who have performed over the years. These legends in the music industry, MAZE featuring Frankie Beverly and GAP Band has provided great hits over the years and it’s an honor for BRENCORE Entertainment to pay homage to them. 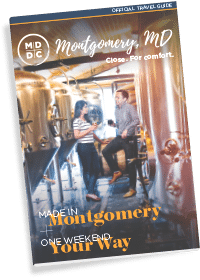 So if you want to enjoy a great evening with us as we bring you some of their greatest hits then grab some friends, family and coworkers and let’s have a great time at the Bethesda Blues and Jazz Supper Club.